From contract packaging to filling and assembly, we develop solutions to help businesses succeed. We provide expert quality control, eco-friendly formula development and more. In today’s competitive market, it is important that you partner with a contract packaging and turnkey service provider that will cultivate strong brand recognition for your products. At U.S. Continental Packaging, our streamlined, turnkey services provide quality solutions to meet your unique product and branding needs. Through our methods, we establish a visual dialogue between your brand and its consumers. Let’s get started. Our intuitive production methods are constantly evolving with innovative industry practices. 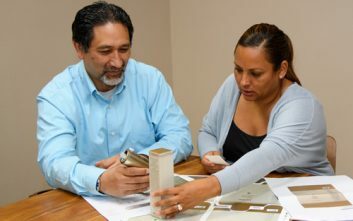 At U.S. Continental Packaging, we excel when it comes to delivering your solutions on time. Above all else, we’re dedicated to superior quality across our full range of services. At U.S. Continental Packaging, we’ve established a global footprint and our reputation built on excellence. We actively serve companies in the retail, commercial, and fashion sectors. Industry leaders such as Vans, Michaels Kors, and Sperry, have partnered with us to produce iconic packaging and branded solutions underscored by quality work and an unparalleled attention to detail. We understand that packaging is just as important as the product itself, and that is why we make every effort to offer our customers innovative contract packaging services and forward-looking designs that instill a sense of confidence and familiarity among customers worldwide. Our in-house contract packaging design and branding teams work hand-in-hand with you to capture your company’s message. To that end, our logistics and manufacturer professionals own the project from start to finish, perform quality measurements, and promote streamlined, assembly services. 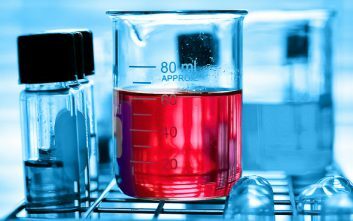 From eco-friendly formula development to quality control testing, our innovative lab services will yield only the highest quality products for your brand. 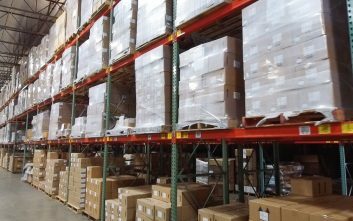 Our advanced warehouse capabilities give you the freedom to distribute your products and accurately track their fulfillment. Innovative packaging, filling, and assembly solutions are at the core of what we do. US Continental Packaging started in 1989 with a mission to provide the highest-quality turnkey solutions and professional packaging to clients in a broad array of industries. We have a full suite of professional manufacturing services from contract packaging to leather care, laboratory and warehouse services, and more. From marketing services to wholesale distribution, we focus on the specific needs of your brand. We’re always focused on innovation, from eco-friendly lab formulas to the latest developments in packaging. US Continental Packaging is proud to be a registered ISO 9001:2008 and 14001:2004 firm. We service a broad clientele from premium shoe and leather companies to textile manufacturers. U.S. Continental Packaging started in 1989 with a vision to create innovative leather care products. Since then, we’ve expanded our reach into solutions for a whole host of specialities from warehouse services to eco-friendly lab and formula development. Throughout our journey, quality has and will always be a central component of our success. Whether you manage an established global company or you’re bringing an emerging brand to market, we’re here to grow your business. From contract packaging to analytical lab-based formulations, and advanced distribution, US Continental Packaging has the solutions that can make your products a household name. We provide solutions, not just labels. So, if you’re ready for innovation, contact our Sales Team at sales@uscontinental.com.